Seymour Goff (Ess-Ar-Gee) Loose Lips Might Sink Ships 1942. 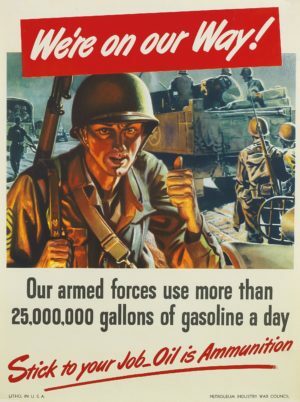 One of the most famous and rarest posters of World War II. Privately printed image shows a torpedoed freighter sliding under the waves stern first. 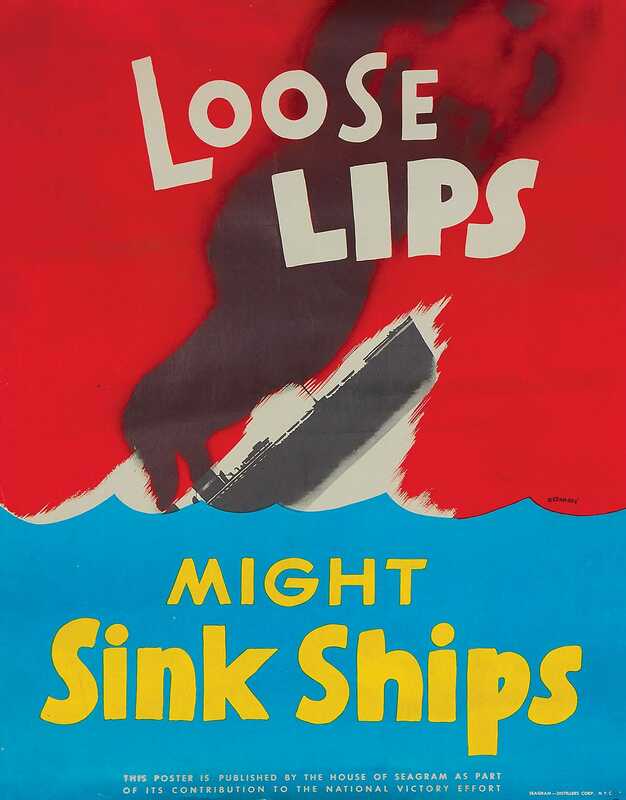 The words of this title are the basis of the most misquoted phrase of the war; usually elided to the more positive ‘loose lips sink ships. 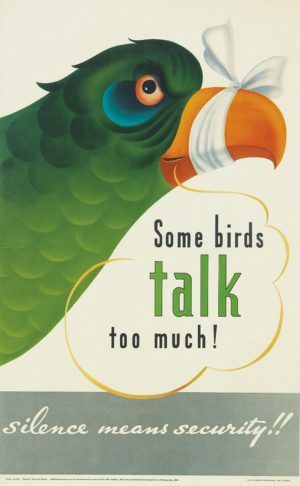 28×20 near mint, conservation backed. 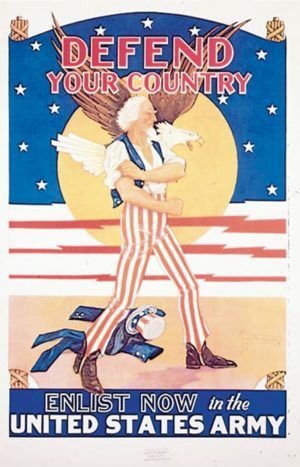 Bibliography: Bird and Rubenstein Design for Victory World War II Posters, 4.